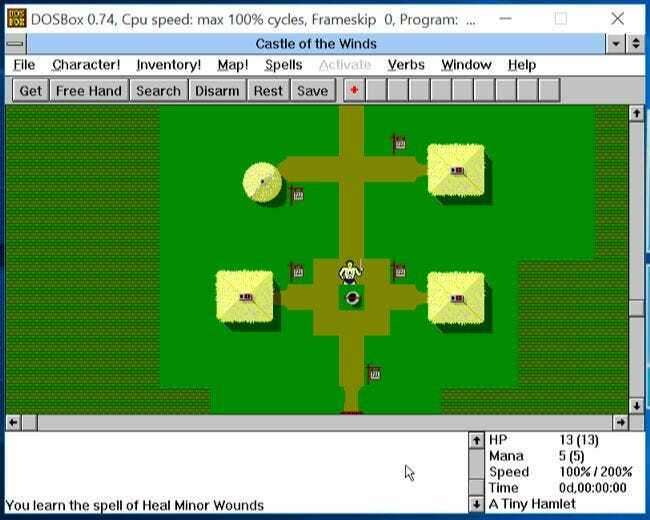 Install Windows 3.1 in DOSBox to run old 16-bit Windows games on 64-bit versions of Windows, Mac OS X, Linux, and anywhere else DOSBox runs. This is particularly useful as only 32-bit versions of Windows can run those 16-bit applications. Windows 3.1 was actually just an application that ran on DOS, and DOSBox is an emulator designed to run DOS and DOS applications. 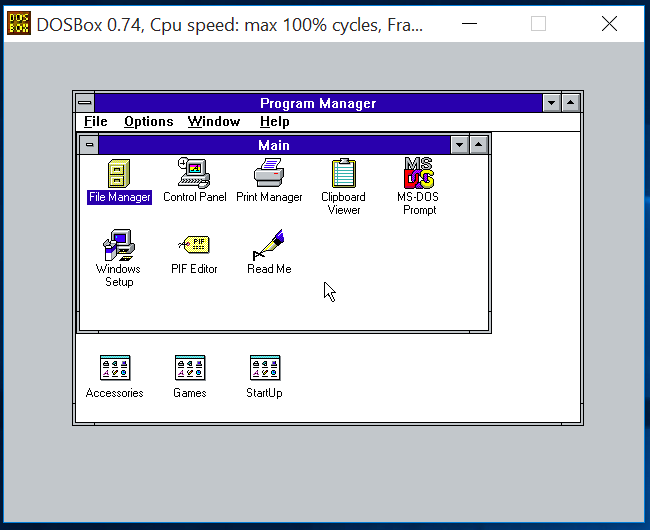 Windows 3.1 in DOSBox is an ideal combination for running old Windows 3.1-era applications. First, you’ll need to create a folder on your computer. This folder will contain the contents of the “C:” drive you’ll provide to DOSBox. Don’t use your actual C: drive on Windows for this. Make a folder like “C:\dos”, for example. 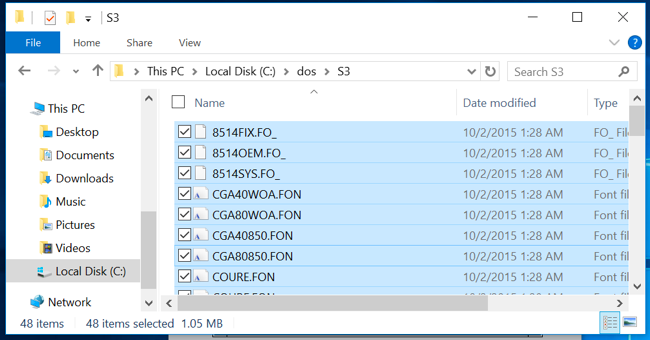 Create a folder inside the “C:\dos” folder — for example, “C:\dos\INSTALL” — and copy all the files from your Windows 3.1 floppy disks to that folder. Windows 3.1 is still under Microsoft copyright, and can’t legally be downloaded from the web, although many websites do offer it for download and Microsoft no longer offers it for sale. You can use Windows 3.1 or Windows for Workgroups 3.11 — whichever you have available. 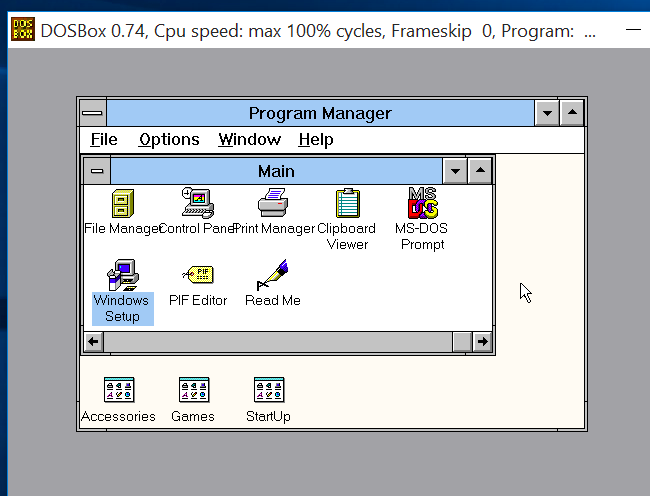 Go through the Windows 3.1 setup wizard to install Windows 3.1 in DOSBox. When it’s done, close the DOS system by clicking “Reboot” in the wizard. DOSBox supports standard VGA graphics. However, it also supports some other types of graphics. By default, it’s set up to emulate S3 Graphics. For best graphics support, you’ll want to install the S3 graphics drivers and configure Windows 3.1 to use a higher resolution and more colors. You can download the S3 video driver from the Classic Games website. Unzip the .zip file to a folder inside your DOSBox C: drive folder. For example, it would make sense to put these files in the “C:\dos\s3” folder. Type the path to the S3 drivers. For example, if you unzipped them to the C:\dos\s3 folder, you’d type “C:\S3” here. Choose your preferred resolution and colors. We recommend choosing 800×600 with 256 colors. This is the highest resolution and number of colors many games will support. Click OK several times. 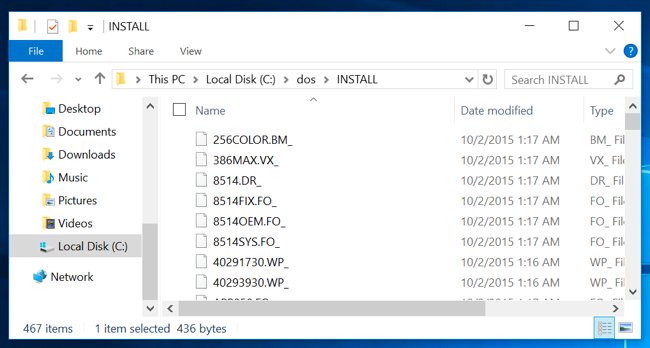 Windows will install the drivers and you’ll be prompted to restart it. After you do, you’ll see your new graphical settings in effect. You’ll then be able to select a different video mode. There’s one more driver issue to take care of. 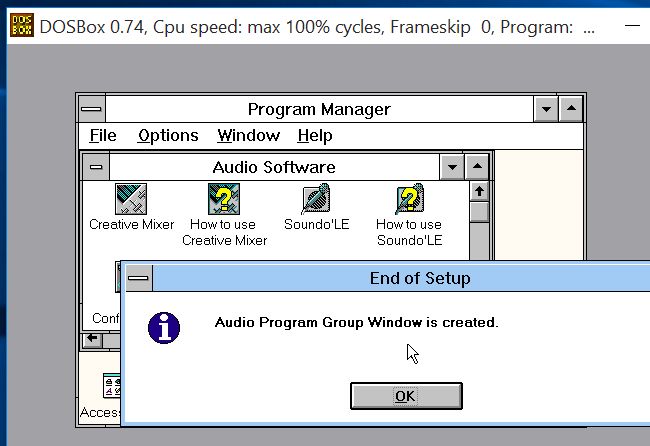 Windows 3.1 doesn’t include sound drivers that will work completely with the SoundBlaster sound hardware DOSBox is emulating. You’ll want to install those, too. Press Enter to install the drivers, select Full Installation, and press Enter again. By default, you’ll see the line: “Microsoft Windows 3.1 path : None”. 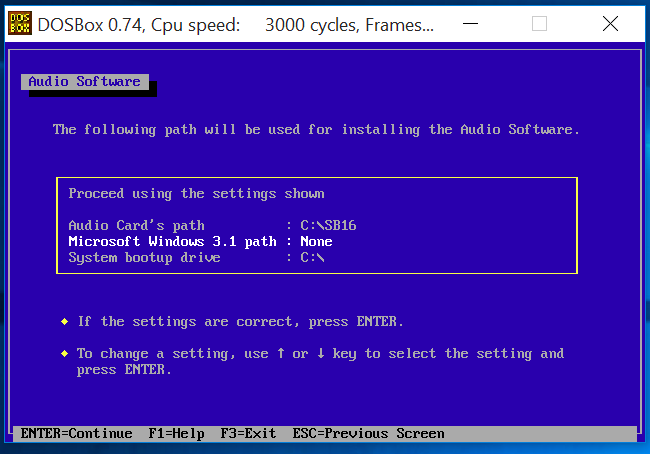 Select “Microsoft Windows 3.1 path” with the arrow keys and press Enter. Enter the default path, which is C:\WINDOWS, and press Enter. Press Enter again to continue. On the next screen, select the “Interrupt setting: 5” value and press Enter. It’s set to 5 by default, but DOSBox’s default is 7. Select “7” for the Interrupt Setting and press Enter. You can then press Enter to continue. 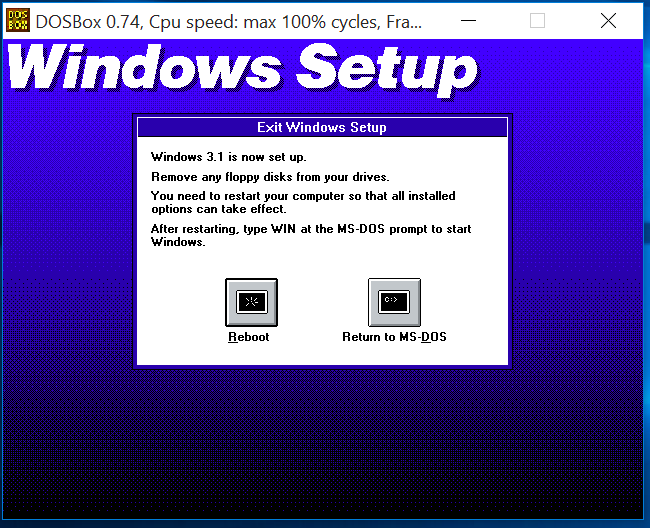 Allow the installation process to finish and “reboot” your DOS system by closing DOSBox and reopening it. 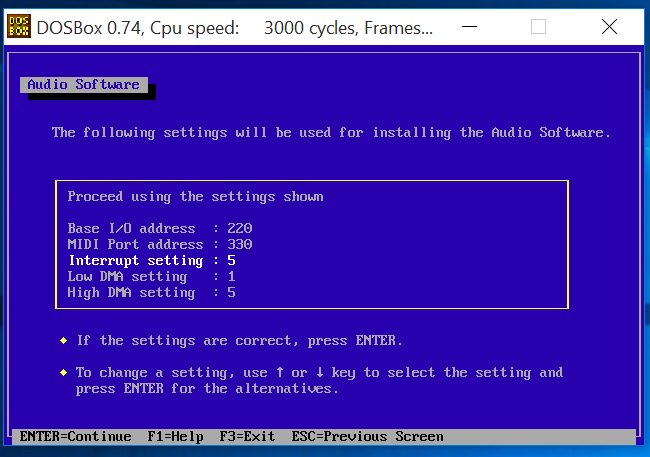 Launch Windows 3.1 again and you’ll have full sound support, including support for MIDI audio. You should hear a sound as soon as you launch Windows 3.1 again. To actually use an application, download it (or copy it from old disks) and place it in a folder inside your c:\dos folder. For example, you might want to place it in c:\dos\gamename. You can then create a shortcut to the game’s .exe file by clicking File > New and browsing to its .exe file. Double-click that shortcut to launch the game. 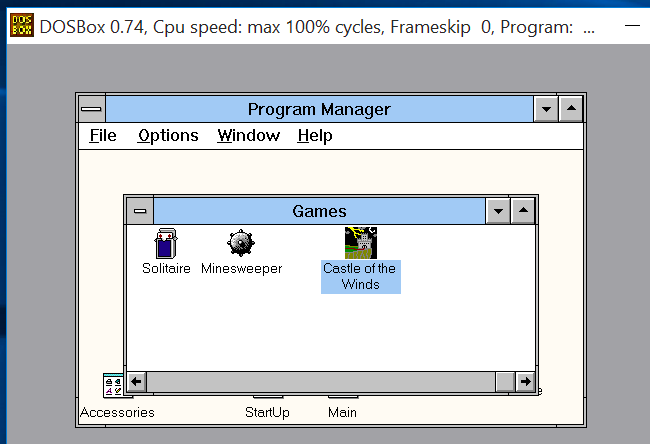 The game should just work, launching within the DOSBox window as if it were running on Windows 3.1 — after all, it is. You don’t have to go through this entire setup process again in the future, either. Just take that c:\dos folder — or whatever else you named it — and back it up. Move it to another computer and you can use it after installing DOSBox. 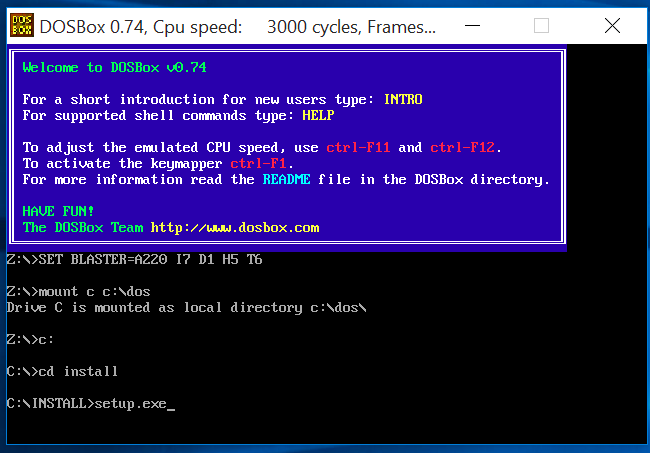 Because we haven’t configured DOSBox at all and have just used its default settings, you won’t even have to tweak your DOSBox settings before it will work.